We knew that a Wonder Woman movie was probably on the way at some point, but Warner Bros. made it official this week when they announced ten DC Comics adaptations on the way between 2016 and 2020. This is a historic move by the studio and gives them an edge over Marvel who have yet to put a female superhero in the spotlight. Unless Black Widow or Captain Marvel reach us before 2017, Wonder Woman will be a major victory for Warner Bros. providing the online demand for diversity translates to box office sales. Here we take you through the things you most need to know about Wonder Woman before her big screen debut in Batman v Superman: Dawn of Justice and then her own solo outing. This includes details on her origin story, supporting characters, and even some very interesting spoilers about how she’ll be portrayed! Batman v Superman producer Charles Roven recently revealed that this version of Wonder Woman will use her origin story from the recently rebooted DC Comics Universe. 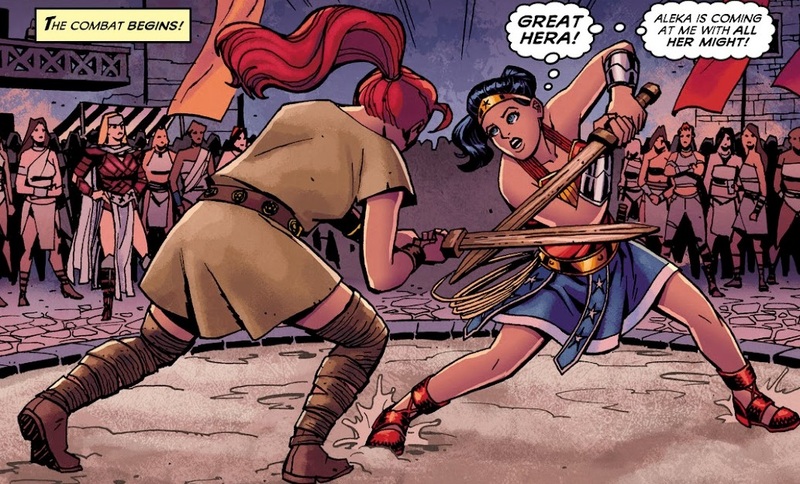 No longer will she have been made of clay by Hippolyta, Queen of the Amazons; instead, she will be a demigod and the daughter of Hippolyta and Zeus. Some fans have not been happy about this change despite the fact that it’s infinitely more interesting. This gives Warner Bros. the chance to make Wonder Woman their version of Thor, thereby allowing them to embrace the opportunity to make Greek mythology part of the DC Cinematic Universe.